Look who popped up to say "hi." Today feels like spring has finally come to Iowa: it’s spring break, temp is in the 60’s, sunshine, Ben is off from work, and to top it all off, the kids are visiting Grammy for a few days. Whew, after that long winter, I’m starting to feel like a human again. 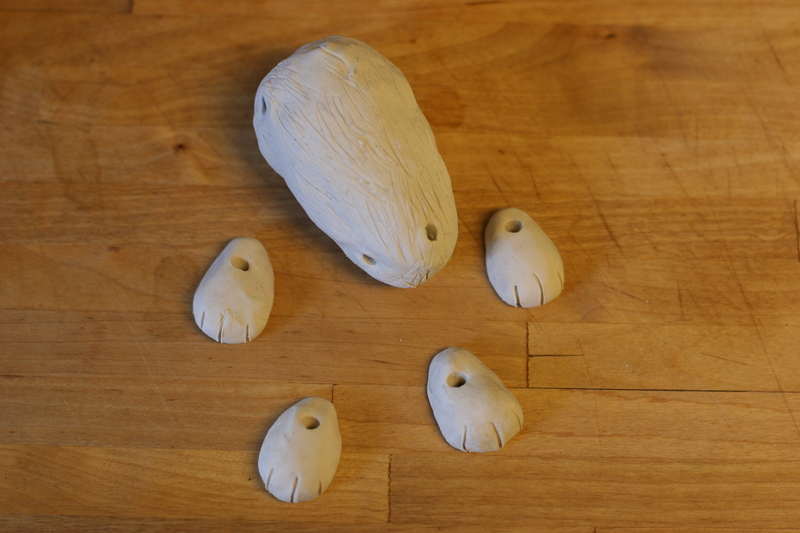 I have been doing some work on the puppet performance of a Baba Yaga tale that I am trying to put together. I met with Monica, puppeteer and freelance artist, last week to get some tips about techniques for building puppets and rehearsing. Tomorrow my good friend, Kelly, is coming over to brainstorm some song ideas with me. She wrote a fantastic song about Bruce Aune, local news caster extraordinaire. She is so creative and fun, can’t wait to get together. We are hoping to perform the show for her 4th grade students. Here is what I have been up to when not outside enjoying this gorgeous weather . . . Here's Bony Legs' (Baba Yaga's) head. I papermåched over a styro-foam ball. Eventually, she is going to be a hand puppet. 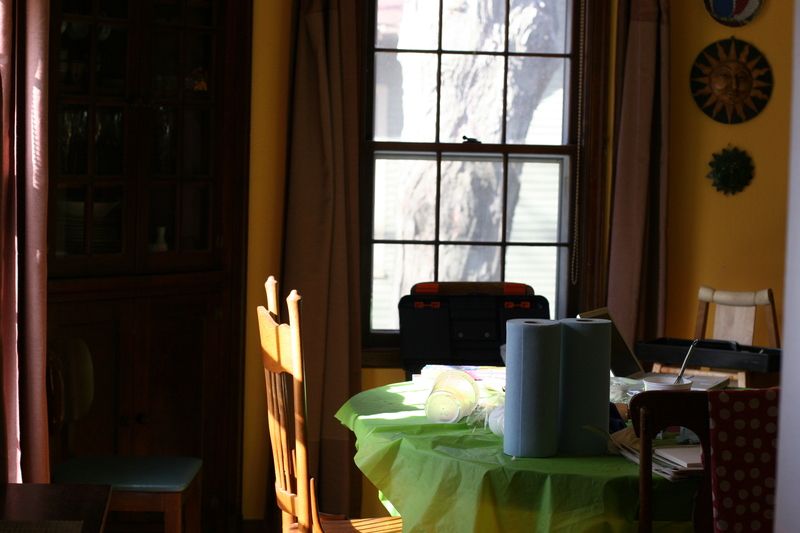 I've set up the dining room as my workspace. Don't need to worry about fixing meals for the kids, yay! The cat body fresh out of the oven. I made an armature out of tinfoil, and modeled sculpey over the armature. 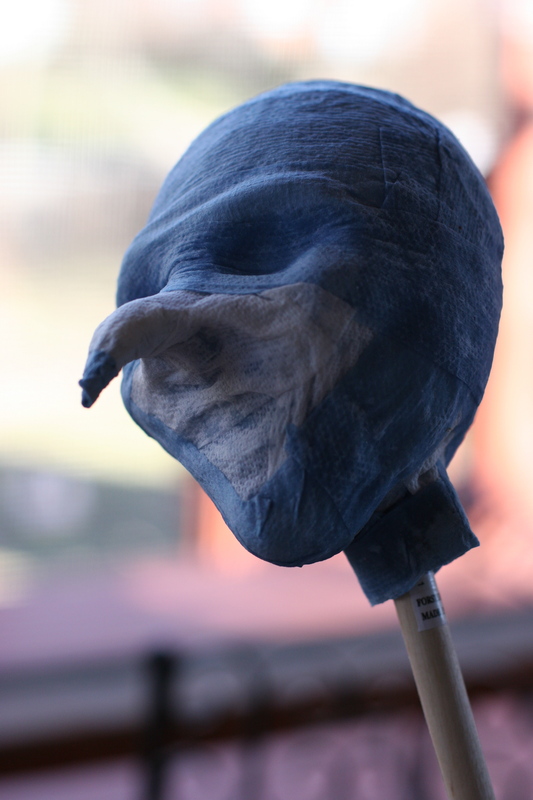 I am hoping to attach the head (papermached)with a spring and use string to connect the feet to the body. One rod will go in the center of the body. Ok, off for a walk and then sushi. Enjoy your day! Nice shot of the crocus!